The International Committee of the Red Cross is a humanitarian institution based in Geneva, Switzerland and a three-time Nobel Prize Laureate. The ICRC responds quickly and efficiently to help people affected by armed conflict. Tripoli, Lebanon has seen years of chronic urban warfare between the Sunni majority Bab al-Tabbaneh and the Alawite majority Jabal Mohsen. The political and sectarian hostilities mirror those playing out in neighboring Syria, just 30 minutes away. One road that connects & divides both of these neighborhoods, bearing the uncanny name of Syria Street. 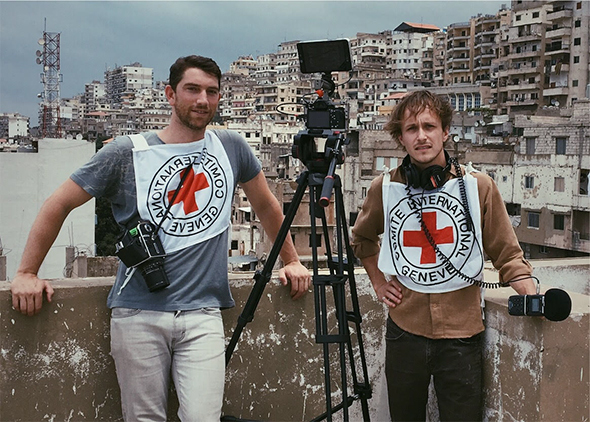 Working directly the ICRC folks in Geneva and Beirut, our team traveled to Tripoli, Lebanon to capture the stories of civilians and refugees caught in the aftermath of urban warfare and the uneasy road to recovery. The project utilizes our director Brandon Tauszik's technique of using GIF images to create moving photographs. The project also incorporates text, sounds, and unique web tools to create a stunning transmedia experience.